Inspired by the Winter Solstice and the transition into a new year. The sun is low in the southern horizon on these dark short days, but promises hope after weeks of clouds! 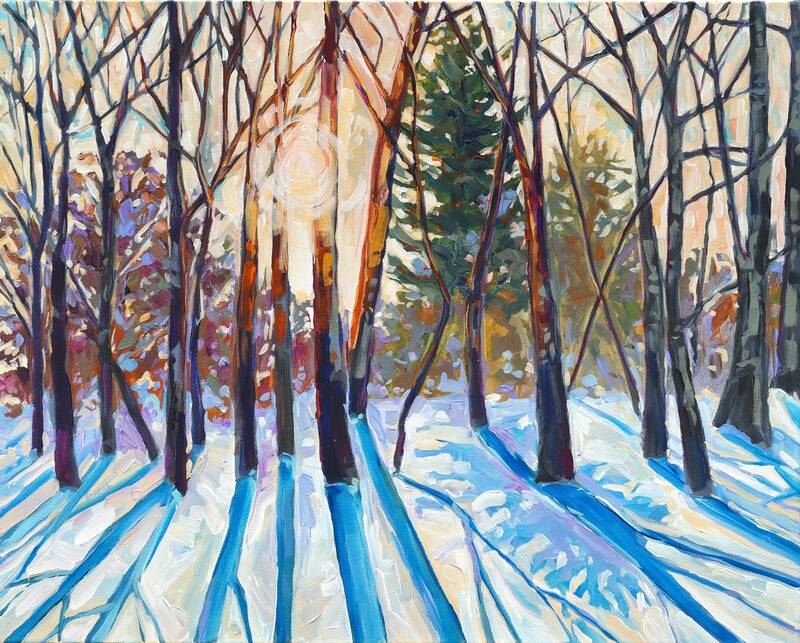 In my painting, a bright orb turns branches purple and gold and snow becomes an intricate pattern of blue shadows. This piece makes me want to shout with joy and say, "Happy New Year! It is good to be alive!" Your choice of a high quality giclee on fine art paper or gallery wrapped canvas. Larger sizes available upon request! ALL prints ship free in the USA. - Beautiful, comes with a generous border of paper that makes your print look pre-matted.